Boost Your Home’s Curb Appeal This Spring! Curb Appeal: the attractiveness of a property for sale and its surroundings when viewed from the street. We have been taught that the inside of the house counts, but when it comes to your home, the outside is certainly just as important. A drab exterior can make you cringe every time you approach the front door, while a random thoughtful designed one can turn the experience into true pleasure. The good news is you don’t have to spend a bundle to enjoy a happy trip up your walkway. One way to instantly improve the curb appeal of your home is to plant new flowers and shrubs, upgrade your landscape walkway replace your front entry door. 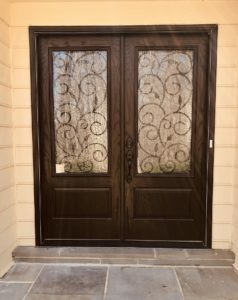 A new entry door can dramatically enhance the look of your home. 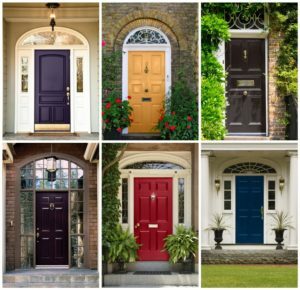 You can go with an updated version similar in style and color to you existing door, or change the appearance of your home by choosing a different style and color that compliments your existing siding. From traditional entry doors to modern front doors and every style in between, today’s new entry doors offer choices for every taste. Enhance your new door by adding decorative window panels in the door, side lights flanking either side, or a transom window above. Besides boosting your curb appeal, a new front entry door brings other benefits as well. 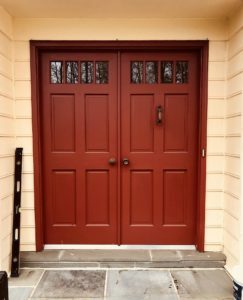 According to the cost vs. value report, which analyzes remodeling projects, replacing your entry door with a new steel entry door replacement will yield 117.6% return on your investment. In addition, today’s design and manufacturing technology makes new replacement doors much more energy efficient than older doors, especially if its ENERGY STAR certified. It’s easy enough to transform the look of your home and improve its curb appeal. A new front door, updated and well-maintained landscaping and a welcoming front porch will not only help with resale value, but create an inviting introduction to guests visiting your home.